With its soaring mountains, sapphire seas, secluded coves and honey-stone villages, the Balearic island of Majorca (or Mallorca) offers a massive variety of sights and activities. Much of the TV series The Night Manager was filmed here and, like pretty much everyone who watched it, Mr Fluff and I promptly fell in love with the place. Happily, it was the chosen destination for a recent family holiday where we enjoyed nearly two weeks of R&R on this Mediterranean gem. Before tourists became obsessed with the package holiday resorts south west of Palma, it was the Serra de Tramuntana mountain range that attracted the island's first visitors in the early 20th century. Follow in their footsteps and base yourself on the island’s mountainous north coast, which has a rugged, untamed beauty that's a cross between Italy's Amalfi Coast and the Scottish Highlands. We opted for a villa just outside Pollença, a small medieval town that’s tucked between two hills, at the eastern end of the Tramuntanas (which are now a UNESCO heritage site). 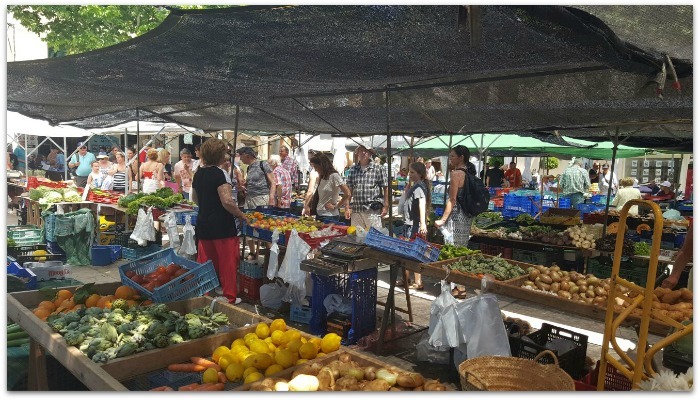 Sunday is market day, Thursday is the locals' tapas night and every day is perfect for sipping sangria on the square. If you want a bit more excitement, Port de Pollença is just 6km and a short drive away, with plenty of beaches, accommodation, dining and nightlife options. 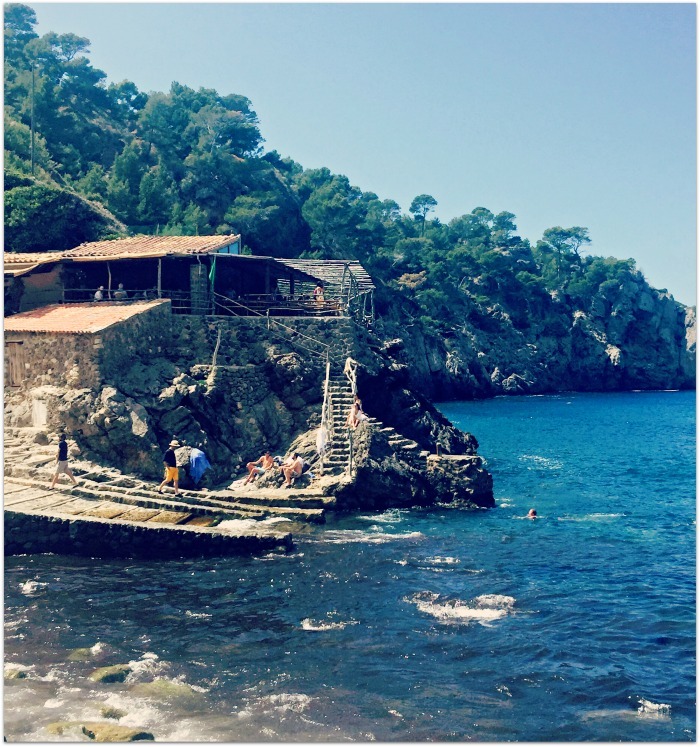 And to the northwest, the Tramuntanas offer a host of picture-perfect mountain villages - like the charming Deià, Valldemossa and Soller – which, with their narrow winding streets and secluded coves, feel completely unspoiled and undiscovered despite their popularity. 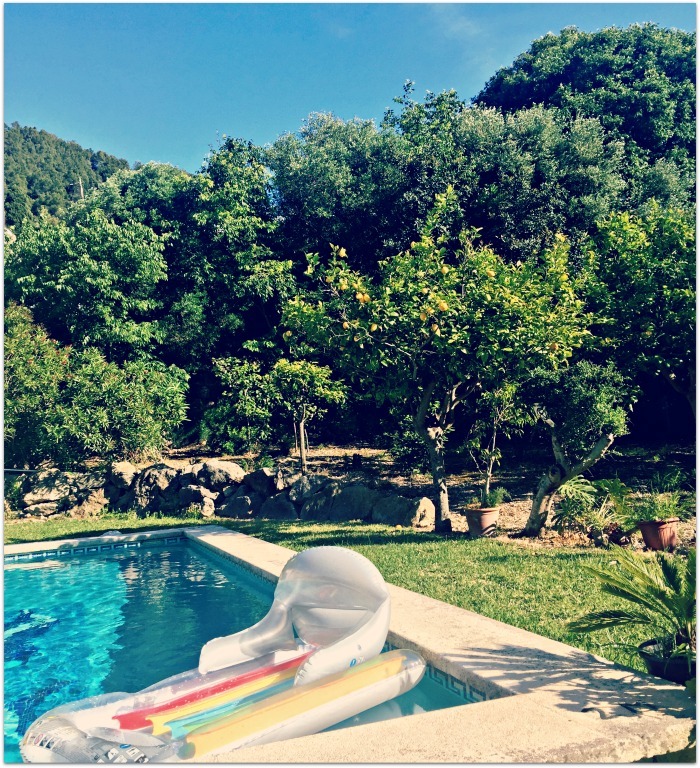 We rented a villa through Solmar Villas Mallorca, and it was glorious. 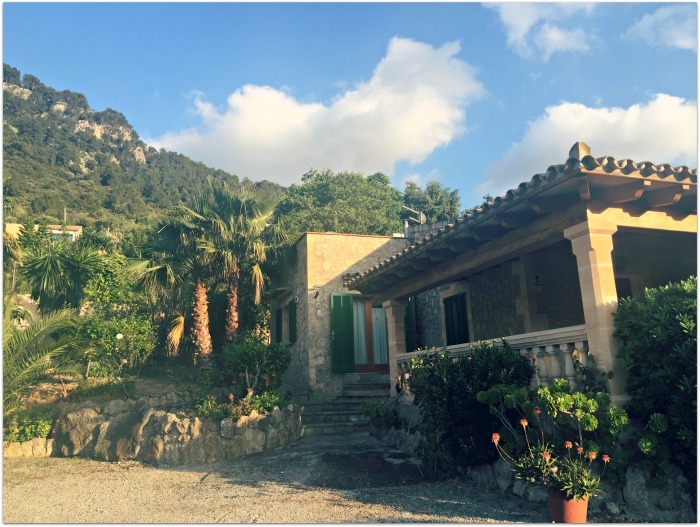 Nestled in the foothills of the Tramontanas, Villa C’an Bach (pictured above and below) had the most incredible views and felt really private and secluded – though it was less than a 5 minute walk to Pollença town. The company was great to deal with, too: Amanda couldn’t have been more helpful in the run up to our trip and the team popped in to take care of any issues we had while there. For a similarly secluded vibe but with five-star amenities on tap, check out Son Brull Hotel & Spa, which was only a few minutes drive from our villa. This 18th-century monastery has been converted to a luxurious but unpretentious hotel, which has a cool, crisp and almost Scandinavian feel; we spent a day here at the spa and the treatments (and lunch) were exquisite. If secluded just isn’t your style, I recommend the recently renovated Hotel Illa D’or, a lovely 4-star art-deco gem that’s decked out beautifully in shades of white and gold. 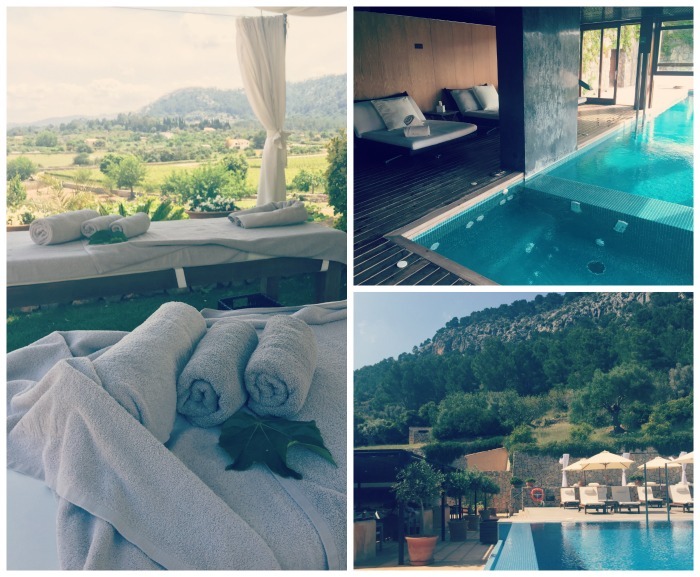 Our friends stayed here for a week and we spent a day enjoying the spa, amenities and stunning views over the curved bay in Port de Pollença. It’s situated on the route of the famous Pine Walk, which offers a gorgeous scenic promenade along the waterfront, and the hotel’s terrace offers the perfect spot for a sunset cocktail or two. The cherry on top? It has it's own boat and private pier (below). 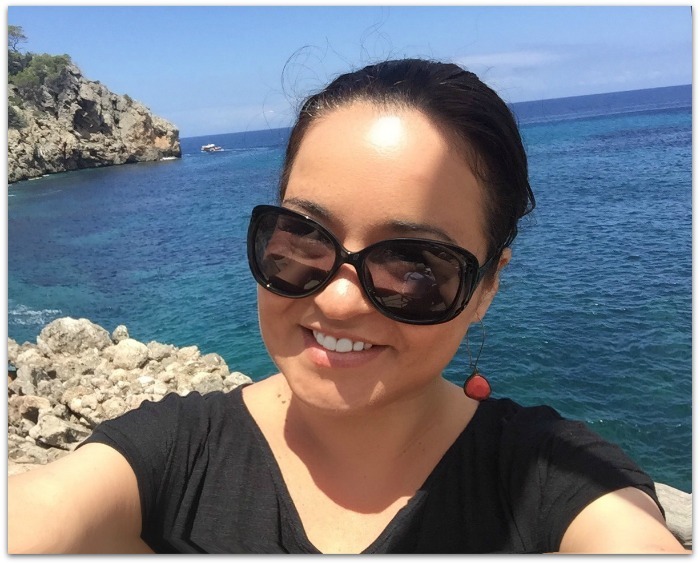 My favourite dining experience on the island was Ca’s Patro March, at the beautiful Cala Deià (Deià beach). The food is fresh and simple seafood; it’s delish, but it’s the incredible views from the terrace that make this place so special. You need to book in advance – it was always popular, but since it featured on the Night Manager (in the dramatic scene where the kidnapping of Roper’s son is foiled), it’s busier than ever. If you can’t get a table, try C’an Lluch: this similar, (slightly) more casual restaurant is on the other side of the cove and was decidedly less busy. For the best paella you’ll ever eat, with views to match, head to Cap Roig, one of three restaurant options at the exclusive 5-star Jumeirah Port Soller Hotel. 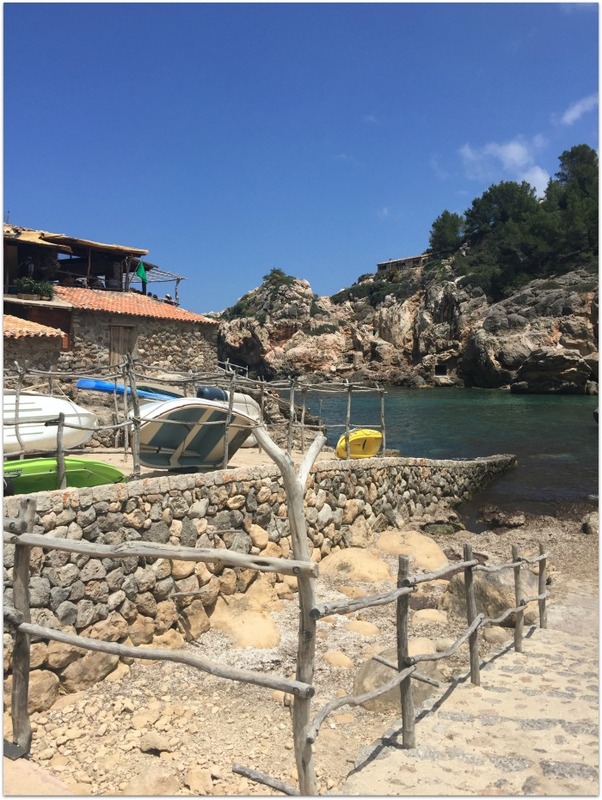 The restaurant, named after a local fish, is perched on a clifftop overlooking the Mediterranean and the fishing village of Port Soller. The Gallician lobster paella was one of the most delicious things I have ever eaten in my entire life. 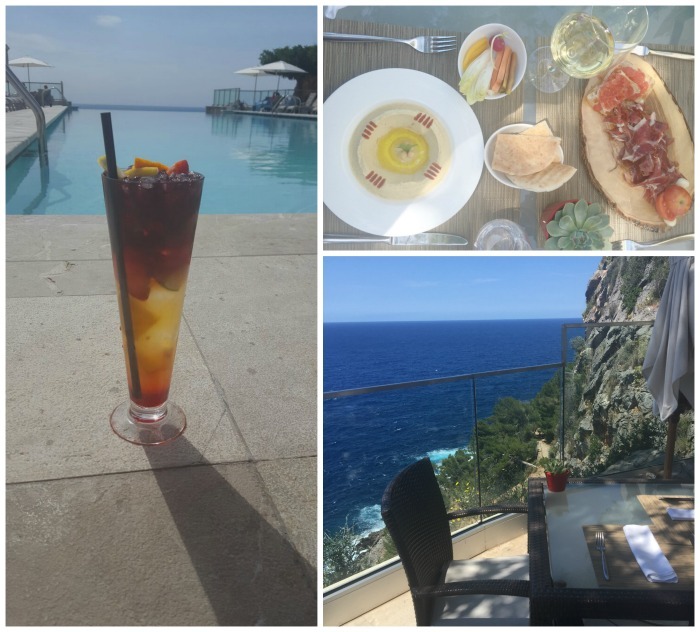 Particularly great coffee, too – and the sangria was a thing of beauty, sipped overlooking the 8th floor infinity pool. 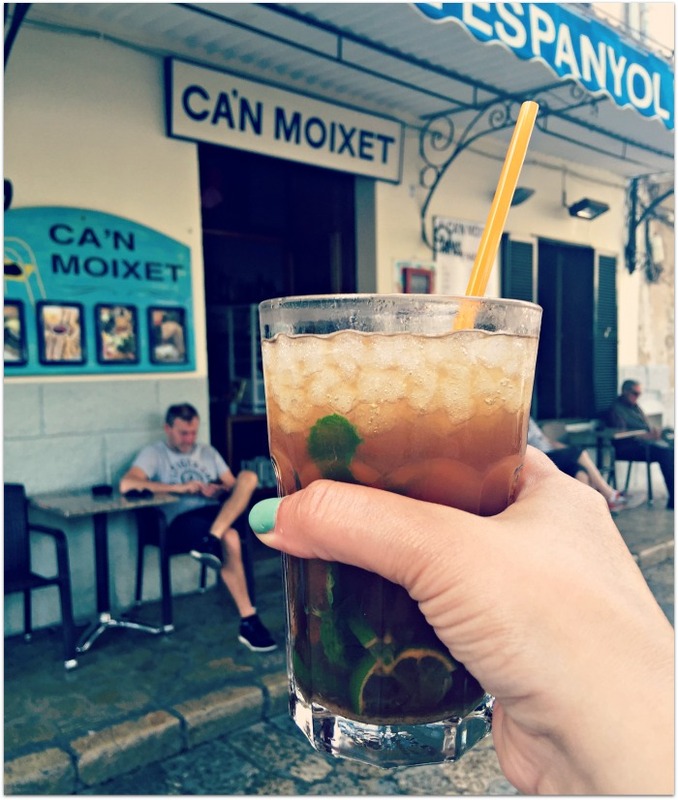 A more budget friendly option is Cafe Ca'n Moixet in Pollença: overlook the drab exterior and you’ll find well priced, tasty tapas and a traditional café-bar interior, complete with marble table tops, red leather seats and an ancient tiled floor. There’s also a large outdoor area on the square that’s great for people watching. Avoid the (bottled) sangria, but do try the excellent mojitos. Wherever you eat, try an ensaimada pastry, dusted with icing sugar, for breakfast, a slice of turron (nougat made with local almonds) for dessert or the local tumbet as a side-dish or starter; this tasty and filling vegetable dish is quite like ratatouille. Seafood is consistently good, and we also loved the Majorcan Anima Negra (AN) wine; this is apparently stocked in the Celtic whiskey shop in Dublin, so we’ll be hunting it down! Mr Fluff and I flew to Palma from Dublin with Ryanair, for a total of €524 return - between two of us - which included two checked in bags, and the price of reserving emergency exit seats both ways for the leg room (4 x €15). The others flew from Glasgow to Palma, also with Ryanair. 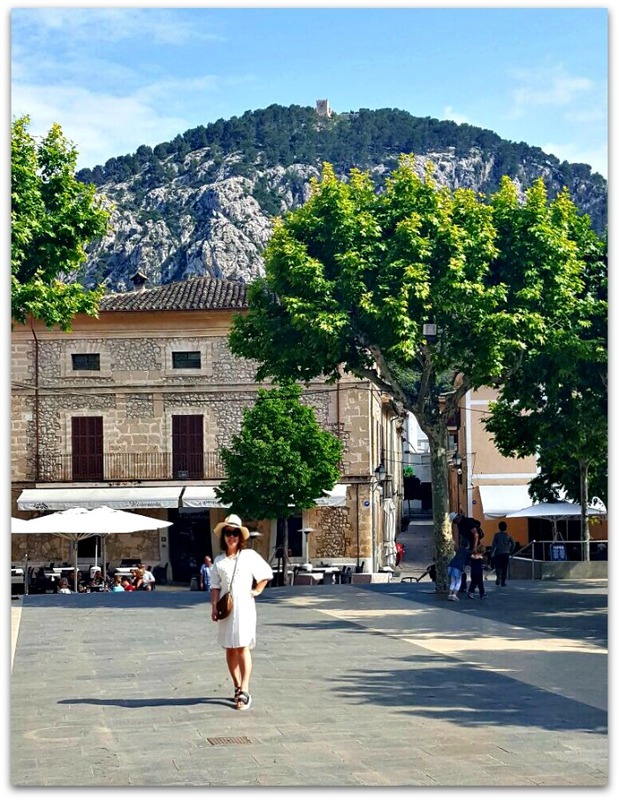 Pollença was a 45 minute drive from Palma airport; we hired a car with Gold Car, and I wouldn’t recommend them: massive queues, unfriendly staff and hidden extras left a sour taste in our mouths. There are lots of other car-hire options in Palma airport so you won't be stranded. 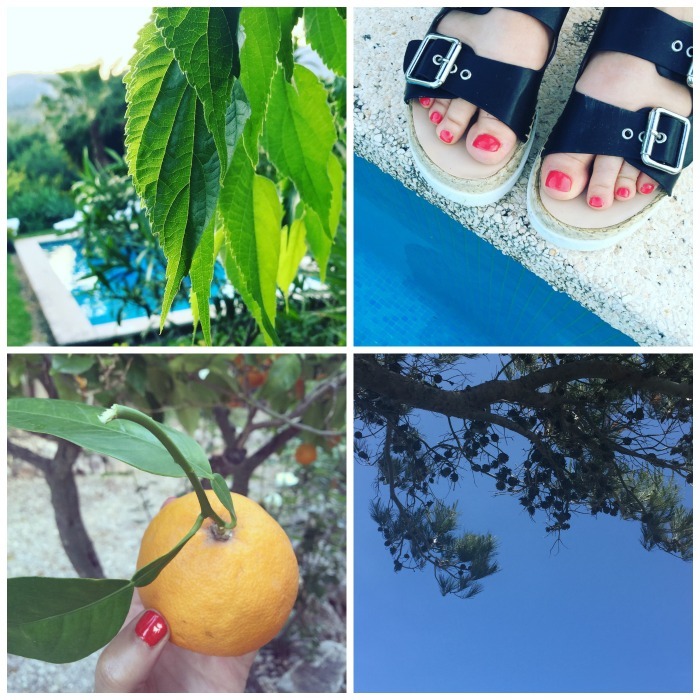 Have you been to Majorca and what else would you add to this list? Please do share all in the comments!